1. 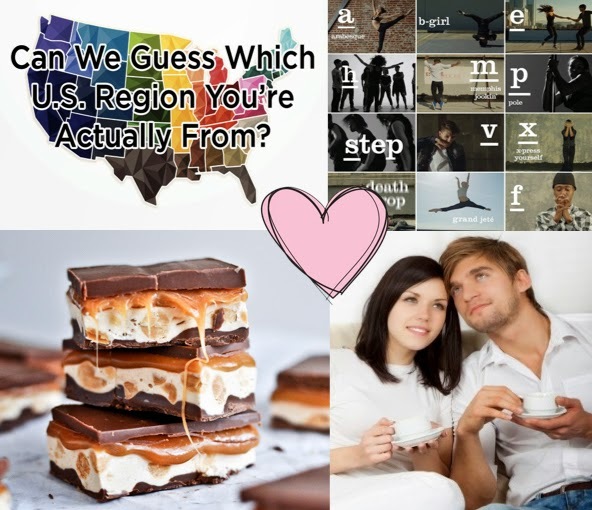 I took this Buzzfeed quiz "Can we guess which U.S. region you're actually from?" and they surprisingly guessed mine right! 2. A to Z of dance is a fabulous video that incorporates all the different dance styles we usually forget about. 3. How Sweet It Is homemade Snicker's bars are on my to-do list. 4. Inspired by a friend, 35 questions to bring you closer together.